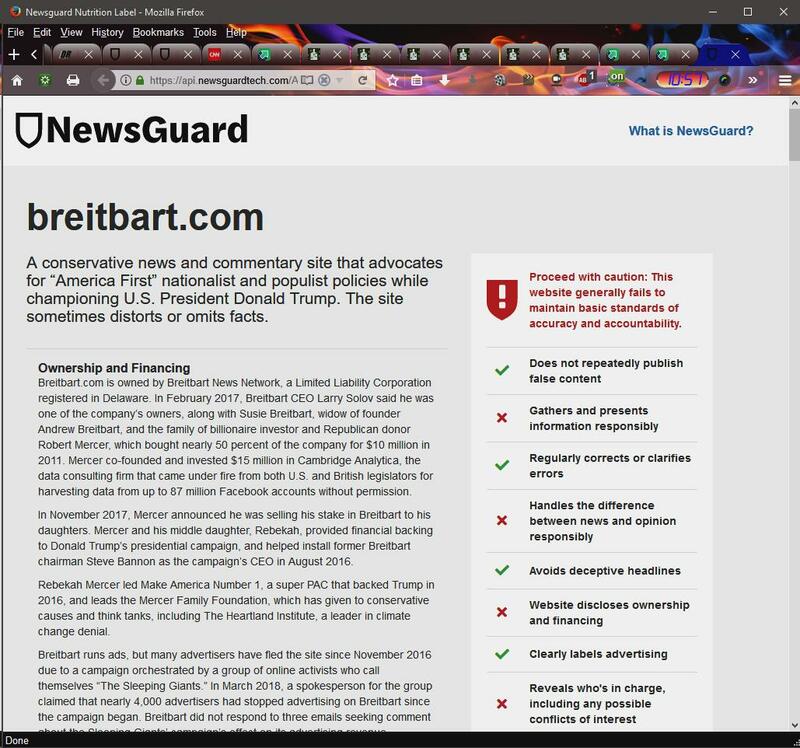 Out of curiosity I installed NewsGuard addon to Firefox. After installation I expected an overlay to appear on the less-than-desireable-sites as viewed by NewsGuard but that was not the case. It placed a small icon on the toolbar at the far right of the browser. It apparently automatically assesses the page and provides a report if the site has been submitted. Breitbart.com has been submitted, however, https://www.cnn.com has not << funny! (I did submit it). The first screen while on the page displays a partial listing of the assessment. A complete listing/story is found by clicking See the Full Nutrition Label link in the dialog box. What it say about FoxNews? NVM - I Googled NewsGuard FoxNews. As I am learning more they appear to assess each page, not the site. On the Full Nutrition Label link at the bottom of the page are all the pages they have evaluated. Also the little Icon on the toolbar changes color when you visit different pages. 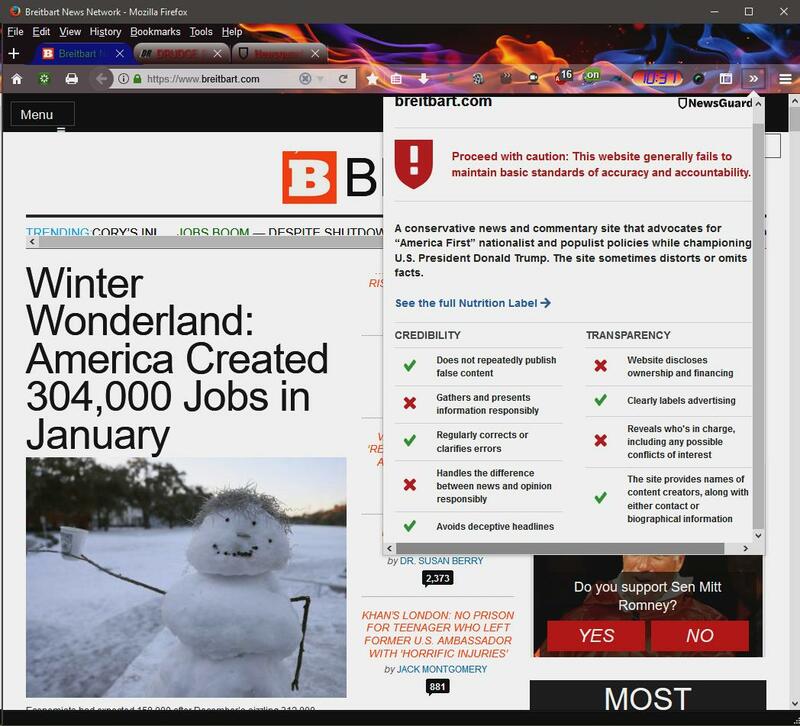 Turns red on Breitbart.com with a ! in the box. Has a checkmark √ for CNN.com.